Mike Tamburo has spent his life serving and exploring the power of music. His concerts and workshops are heart centered, uplifting, sonically multi-dimensional, life affirming experiences that focus on self transformation through conscious listening and breathing. He lives in deep gratitude and joy that his life of music has had meaning and been of use to the world around him. He seeks peace and harmony in his life and hopes to share this peace with others through his music and teachings. Over the past 20+ years Mike Tamburo has become well known as a multi-instrumentalist, music educator, interdisciplinary sound artist, video artist, sound therapist, writer, meditation teacher and avid traveler; sharing over 1800 public and private performances and recording more than 65 albums of ecstatic and transcendental music as well as folk, drone, ambient and sometimes unclassifiable sounds. Early in Tamburo's career he gained notoriety for his string playing (hammered dulcimer, guitar and shahi baaja). In many of his early performances he began to enter into altered states of consciousness and have out of body experiences while performing. In order to understand these experiences he went into years of self study; exploring Kundalini Yoga, energy work, the therapeutic use of sound and how sound effects consciousness, human perception and self healing. His love for long sustained drones, overtones and psychoacoustics led him to working with multiple gongs and other tuned metal instruments (bells, sound plates, singing bowls) as well as exploring the healing power of mantra and toning. 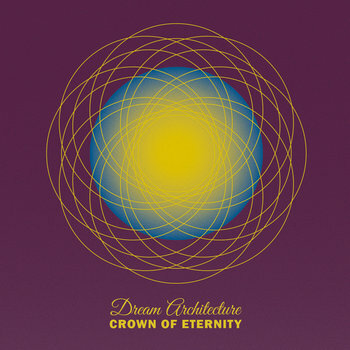 Experience deep pulsations and shimmering tones as Crown Of Eternity deliver you through a dynamic listening experience. 'Universal Hum’ is a tapestry of slow paced rhythms, drones and tones carefully blended and orchestrated into pulsating fields of sound using 11 gongs and more than 60 tuned metal instruments. ‘Universal Hum’ was recorded while Mike and Gallina were immersing themselves daily in sensory deprivation tanks. With ears blocked and no external stimuli, the duo entered into the richness of their inner spaces and the internal sounds that began to reveal themselves became the inspiration for this album. 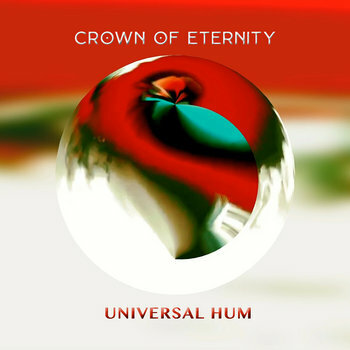 With ‘Universal Hum’, Crown of Eternity continue to evolve their take on Conscious Sound by exploring different tunings, tonalities and instruments and moving further into the realms of Sound Art and drone based minimalism. 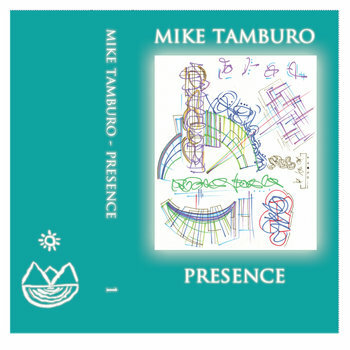 Mike Tamburo returns to Deep Water with an immersive new CD of music for electric guitar, his first release on the label under his given name (following previous discs by Brother Ong, and as part of the Psychic Frost duo). 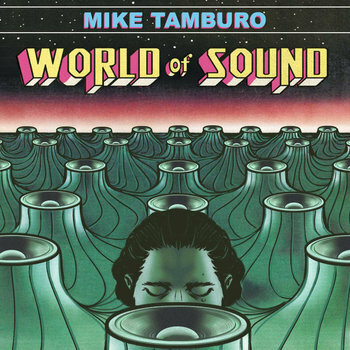 Tamburo’s lengthy and ambulatory musical career has included everything from post-rock (with Arco Flute Foundation), to solo acoustic-electric guitar, to avant-garde New Age (Brother Ong), and yoga music/sound therapy (with Crown of Eternity). 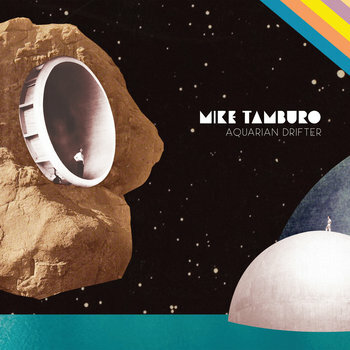 Aquarian Drifter manages to embody aspects of all of those, even as it steps to the edge and glides off into new spaces: Concise, elliptically looping compositions that expand and contract with a psychedelic ebb and flow, often treated and processed to the limits of recognition, sonically recalling early ambient Eno or classic ’70s kosmische, though totally contemporary in spirit and effect. A soundtrack for letting go and floating free, as literally or metaphorically as you like. Nine tracks, 37 minutes. 'Presence Like a Beacon' Parts 1-6 (tracks 1 - 3) was recorded live at Crown of Eternity during a Kundalini Yoga class. on 8/26/12. The meditation this music accompanied is caled Tattva Siddhi Meditation for Presence Like Beacon. that travel memories of past performance, the stripped bare return to disappeared collaborations, and the complexities found in the relationship between musician and instrument. 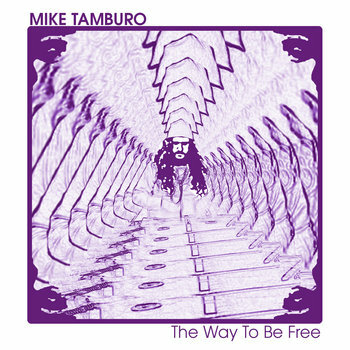 this manifests in Tamburo’s work is applicable in the sounds of The Way to Be Free: the music evokes a sense of experienced external travel defiant of a permanent destination, allowing the listener to act as a dislocated traveler repeatedly embarking on the recording’s voyages for contemplative discovery.